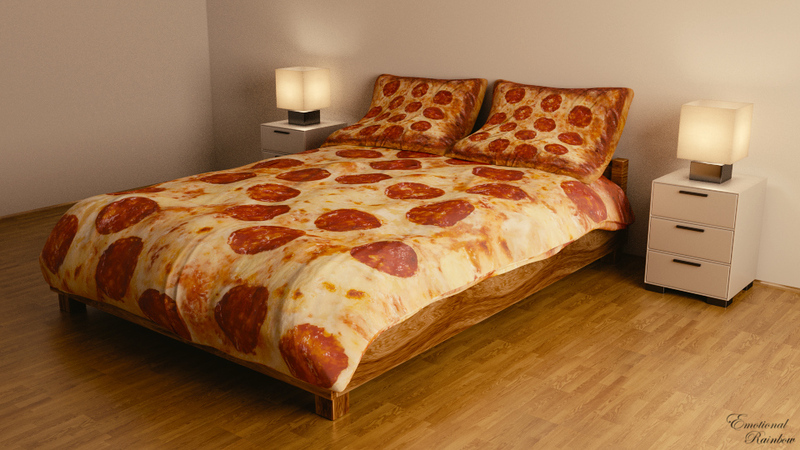 Here is a bed that looks like a pepperoni pizza. But what if you’re a vegetarian? Do they have a vegetarian option? Can I get one that’s half pepperoni and half meatless? And I like thin crust. Can you do thin crust? Extra cheese. Ooh! And can I have extra garlic? Thaaaaaaaanks.